Ann welcomes bestselling Israeli author Chen Lizra to the show, and the two confront a range of topics, including the current upheaval in Gaza, coping through a daily life with frequent sirens and missiles exploding around you, as well as more lighthearted discussion of Chen’s laws of attraction and her seductive travels through Cuba and beyond. Lizra, formerly a Canadian resident who currently resides in Israel, will discuss her experiences living in a war zone while tackling day-to-day life, managing stress and how to unleash our powers of attraction to succeed in business and our personal lives! 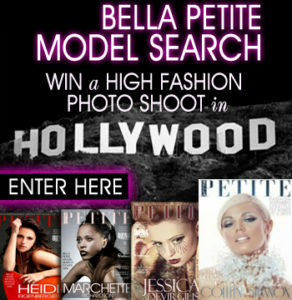 Join Bella Petite today and be part of the petite fashion and model movement. 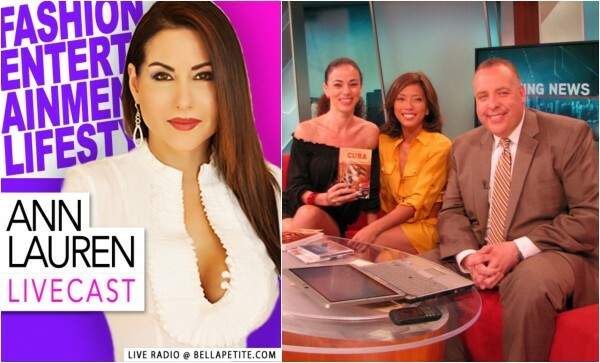 Bella Petite Magazine is Fashion, Entertainment and LifeStyle for Women 5’5″ Tall & under. “Petite is thin, curvy and plus-sized.” Free to join us! This show is fantastic! I cried and was positively touched. Love to hear another show with Ann and Chen! OMG I just wanted this one to keep going! Ann you are so amazing and this show really resonated with me. I have listened to this show twice and extremely engrossed by you both and your personal stories. I have been a fan of Ann Lauren for awhile and thanks for telling us more about you it all makes sense now how you achieved so much in a short time and why. Life is unfair and you both handled that point with amazing elegance thank you! This show was really great and uplifting I feel like you made my day brighter. I have been following you Ann Lauren for couple years now thank you for sharing more from your heart. You are such an amazing lady. This is the first I have learned of your guest author Chen Lizra and I would like to have more about her too on BellaPetite! Good show! Really liked hearing both of your stories. I like that you make things so real Ann, thanks for being so lovely. I absolutely enjoyed listening to this show Miss Lauren you touched my heart and Chen Lizra I will follow you too now that I have discovered you. This was a very enlightening and emotionally available interview. I luv your shows! So timely I needed to hear this I really enjoy your shows Ann! We are happy to hear you found this podcast inspirational! Good luck to you!